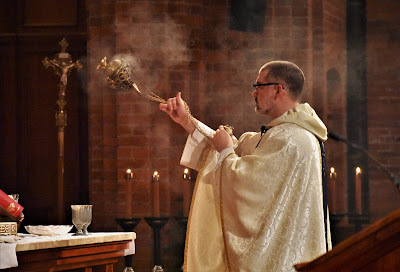 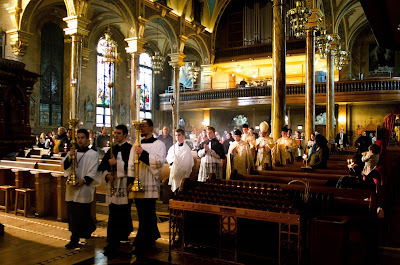 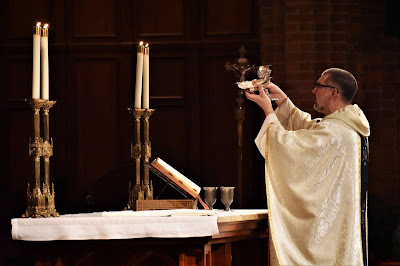 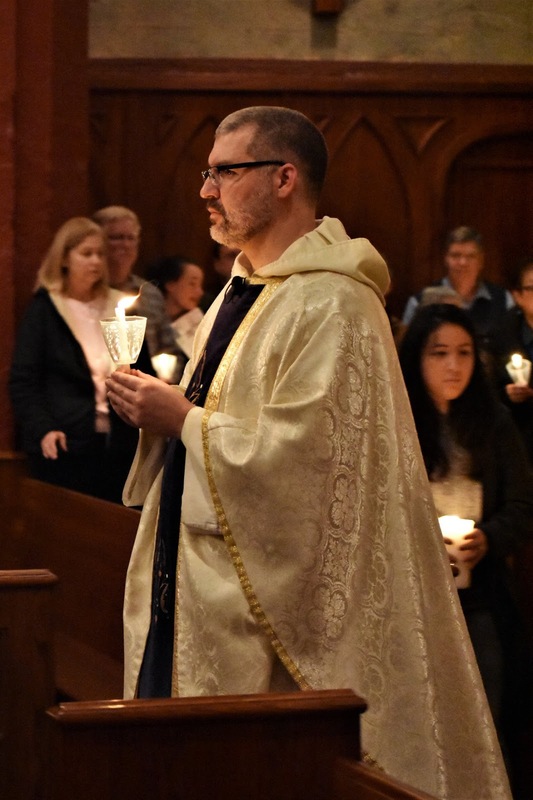 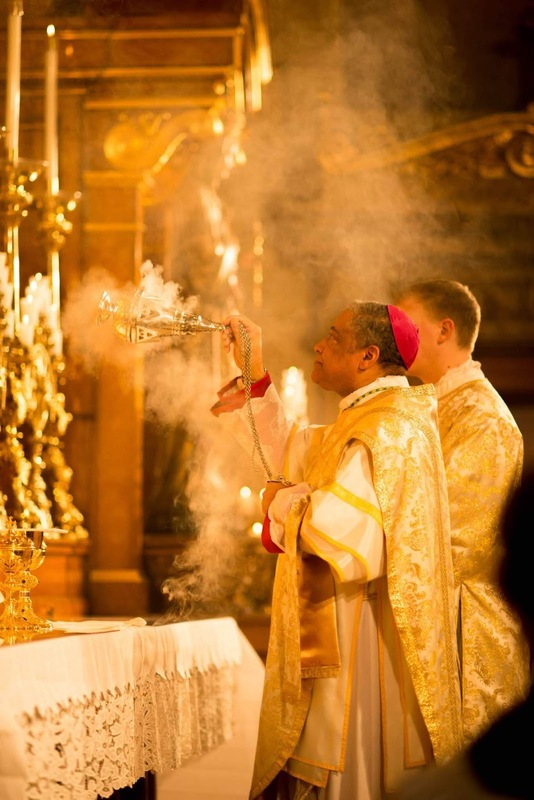 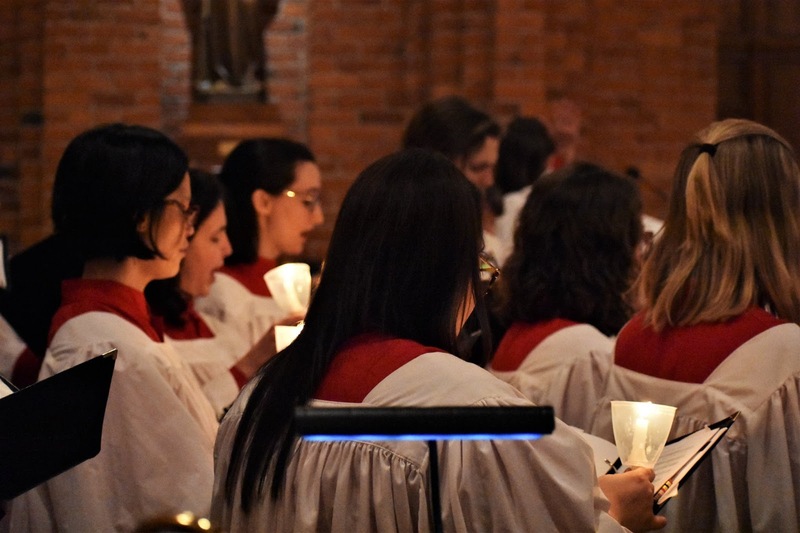 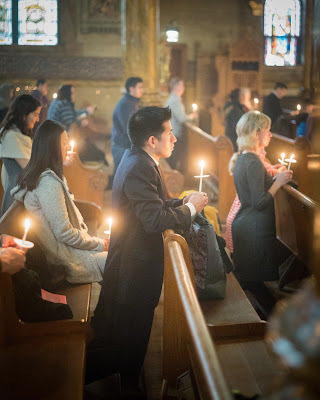 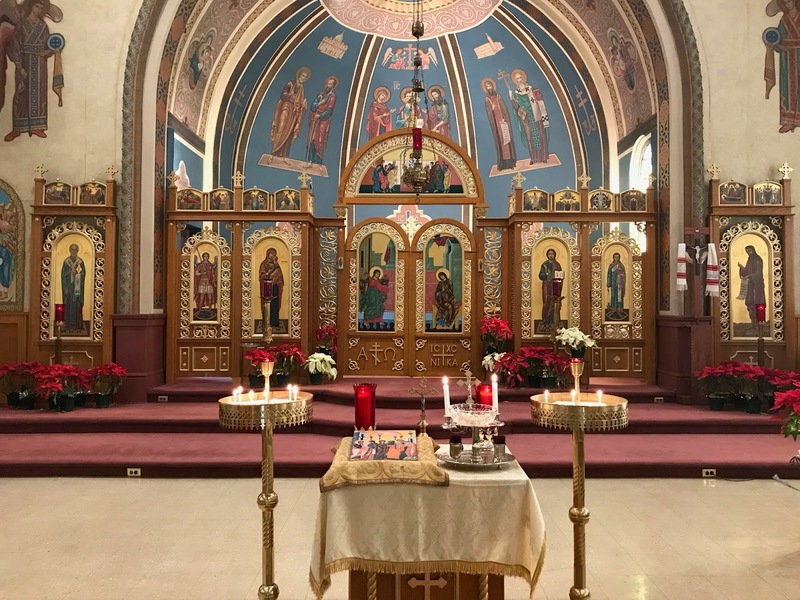 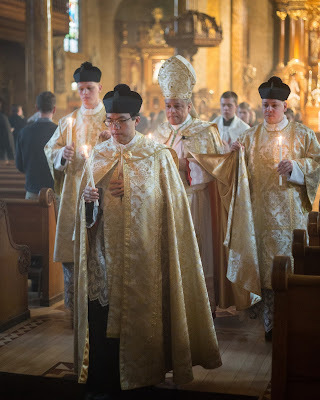 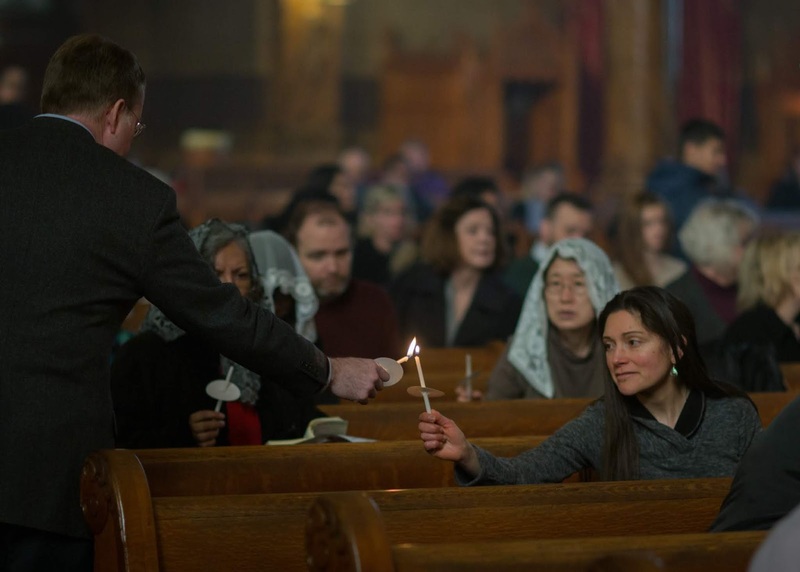 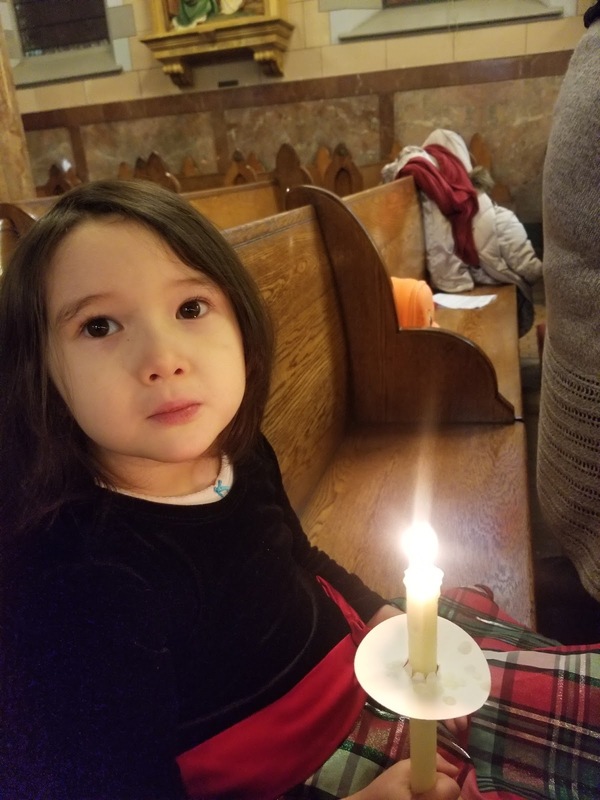 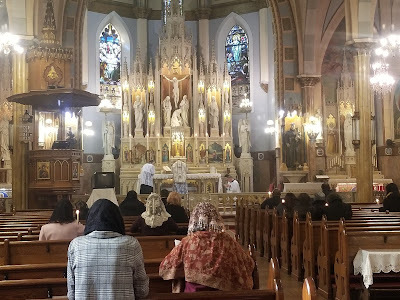 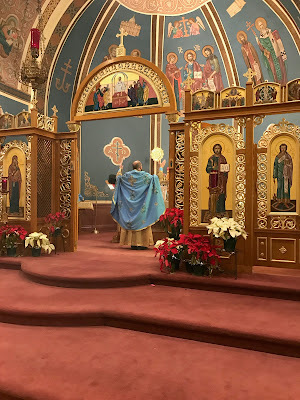 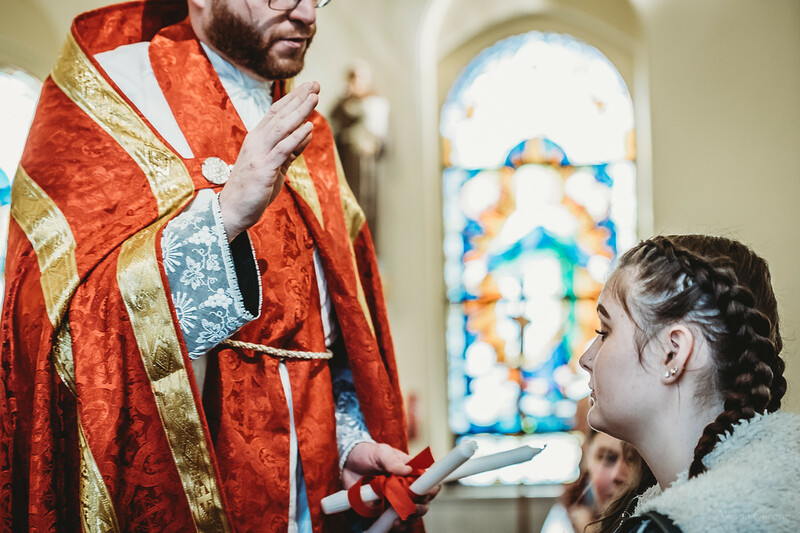 For our final Candlemas photopost of this year, we have two Pontifical ceremonies, as well as a bit of Marian blue in the Byzantine Rite. This year, we got up to over 150 photos, after the often-painful process of going through each submission making a selection. 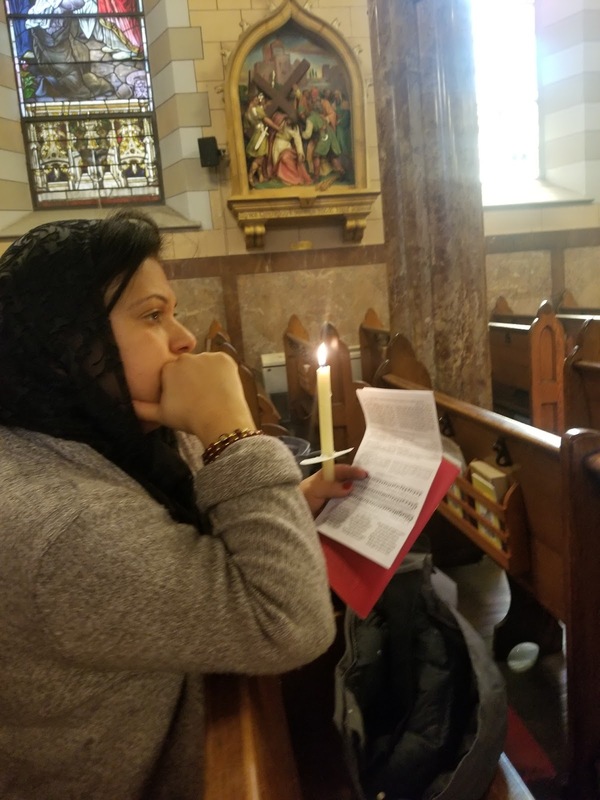 As always, we are very grateful to all of those who sent these in; may God bless you, and help you continue the work of evangelizing through beauty! The Byzantine Rite treats February 2nd as a feast of both Our Lord and Our Lady, as the West does. Although there is no mandatory liturgical color scheme for vestments, there are a number of customs in regard to their use, and among the Slavs, blue is very often used for Marian feasts, as we see here. 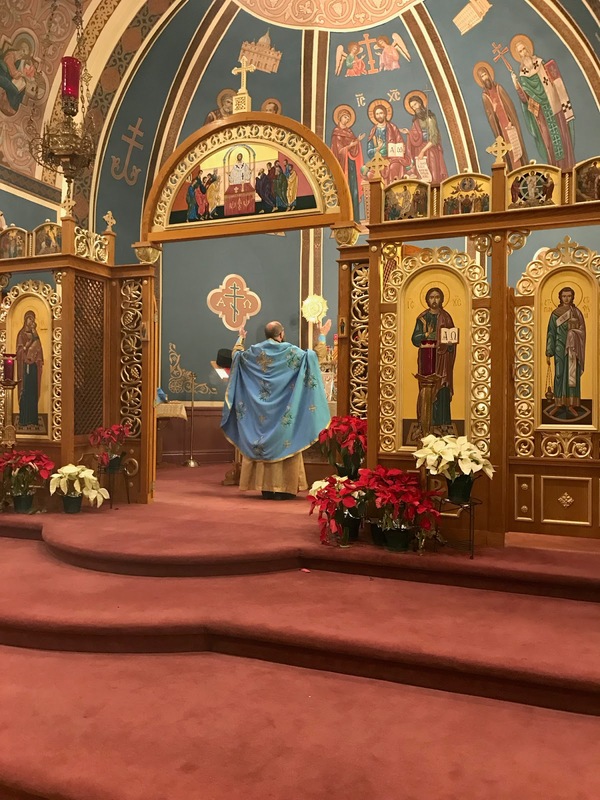 The Byzantine Rite also keeps several major feasts with Afterfeasts, the equivalent of western octaves, although they vary in length. 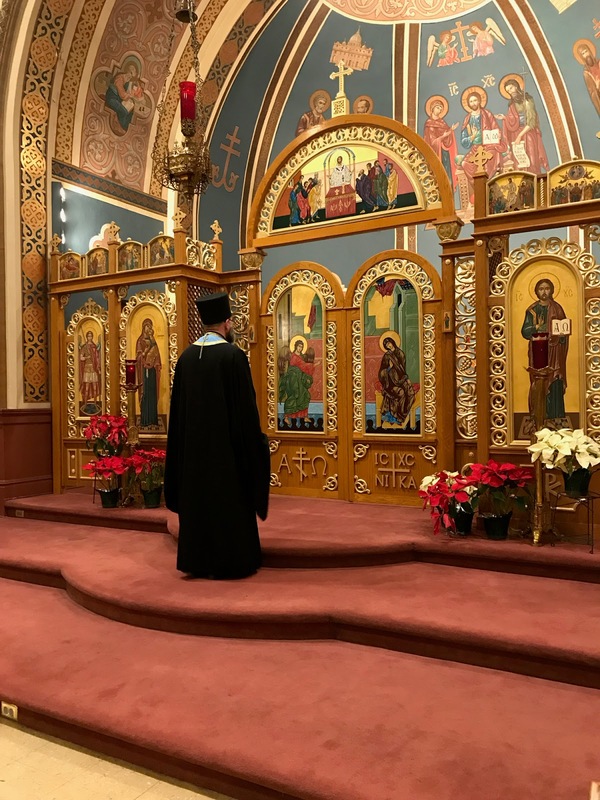 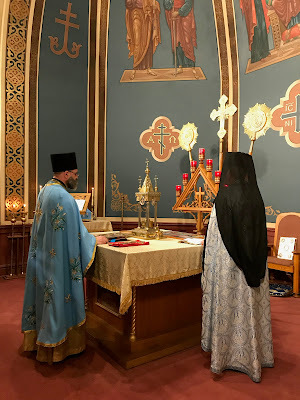 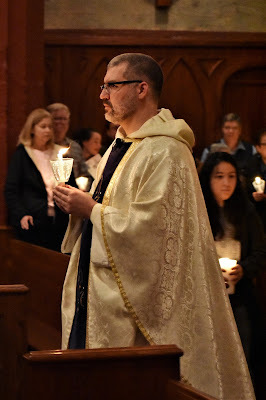 The Sunday within an Afterfeast often takes the color of the feast; here the priest is wearing a blue epitrachilion (stole) at Vespers on Saturday evening, which is part of Sunday, and below, a blue felonion at the Divine Liturgy on Sunday morning. Members of the church’s confraternity receive their candles. 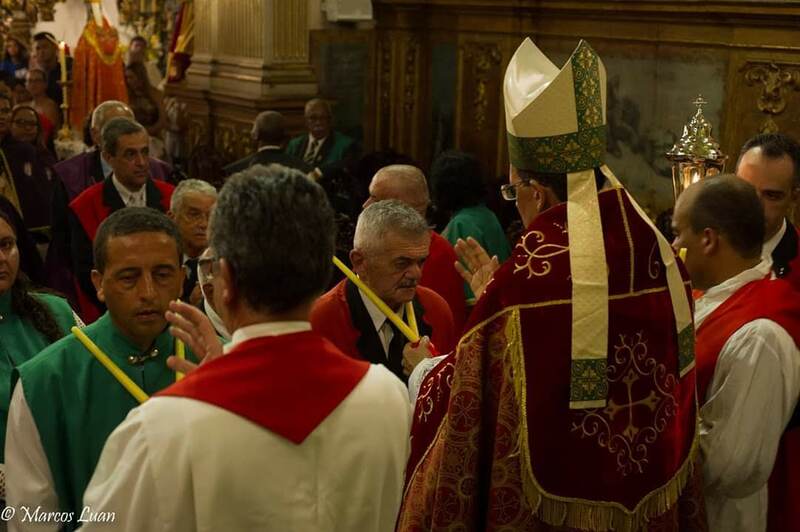 This year, fairly heavy rain forced the procession to stay indoors; last year, it took a long route through the nearby piazzas. 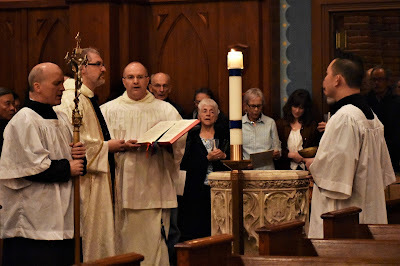 The faithful holding their candles lit during the Canon. 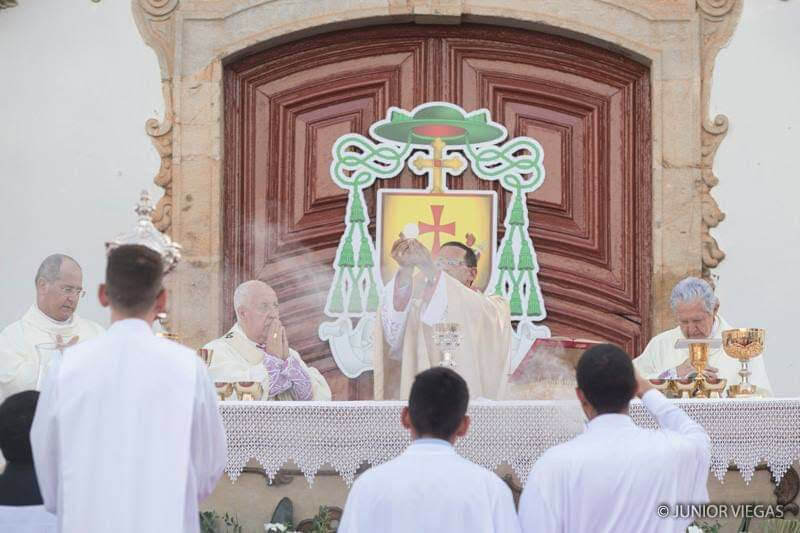 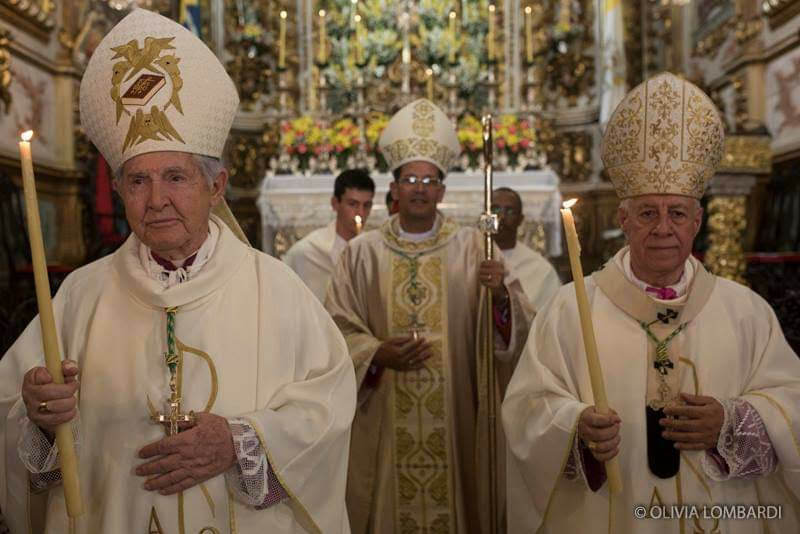 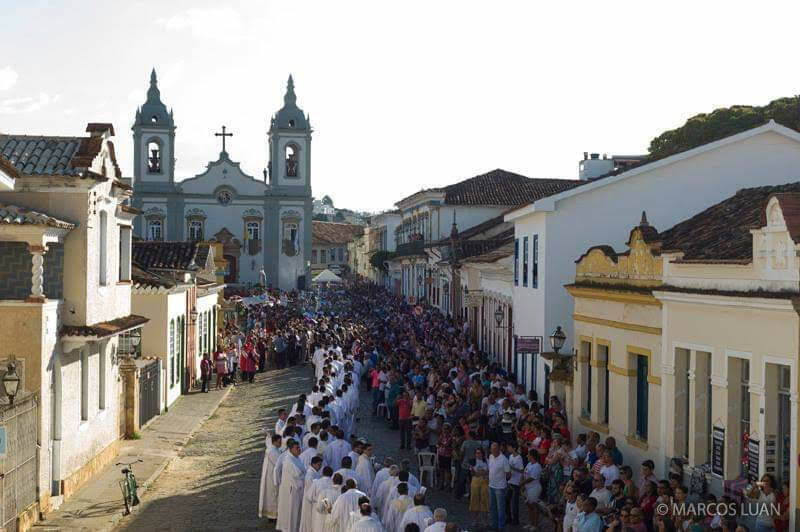 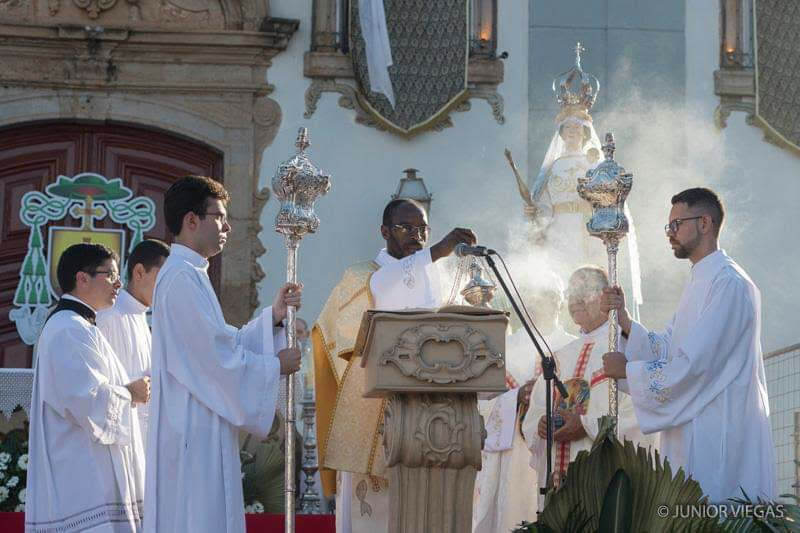 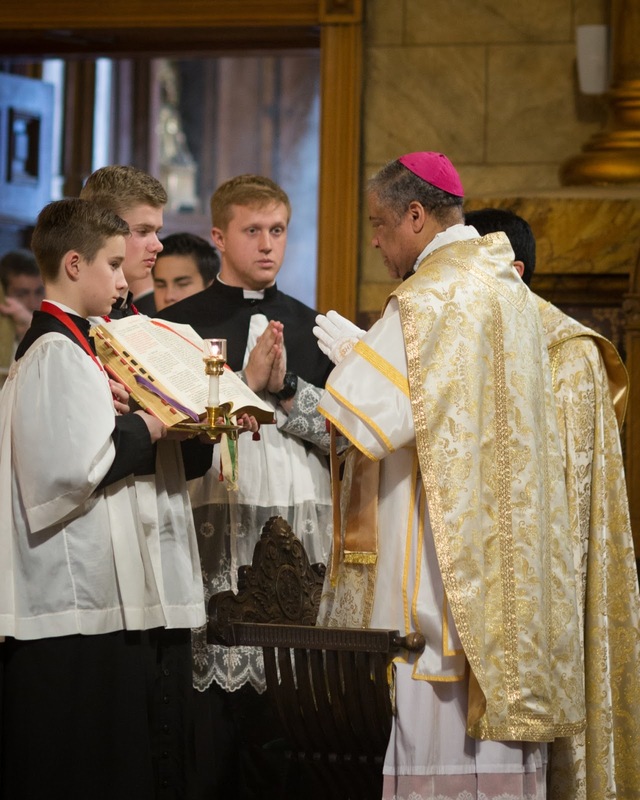 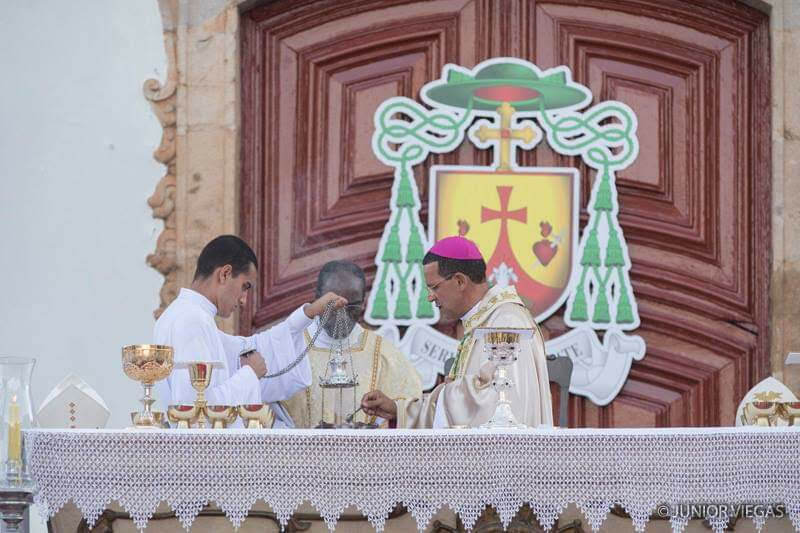 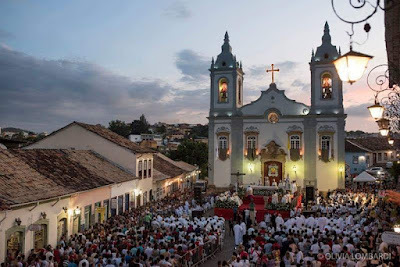 On the feast of the Presentation of the Lord, the newly appointed bishop of São João Del Rei, His Excellency José Eudes, took canonical possession of the Cathedral Basilica of Our Lady of Pilar. 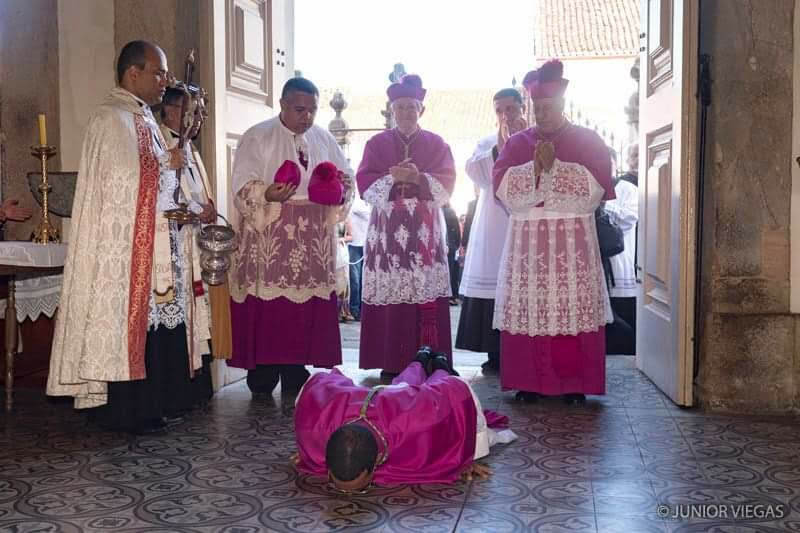 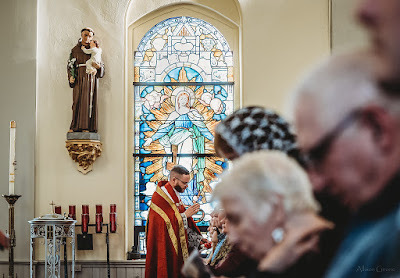 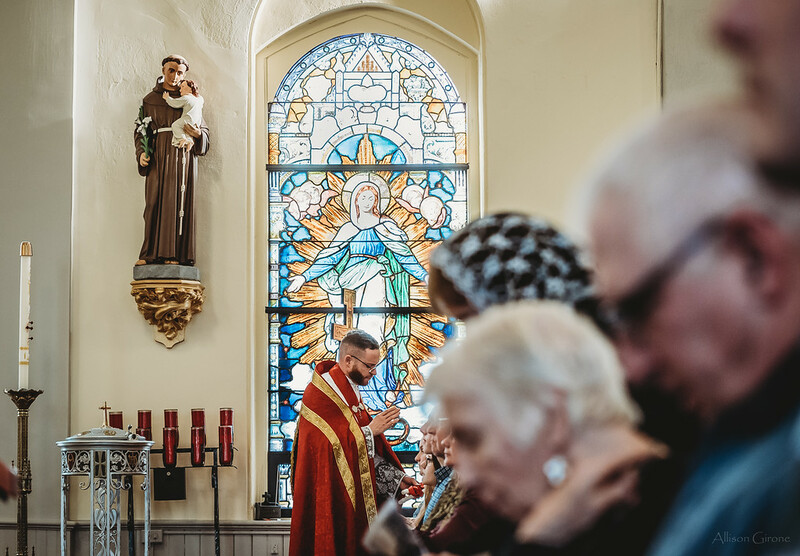 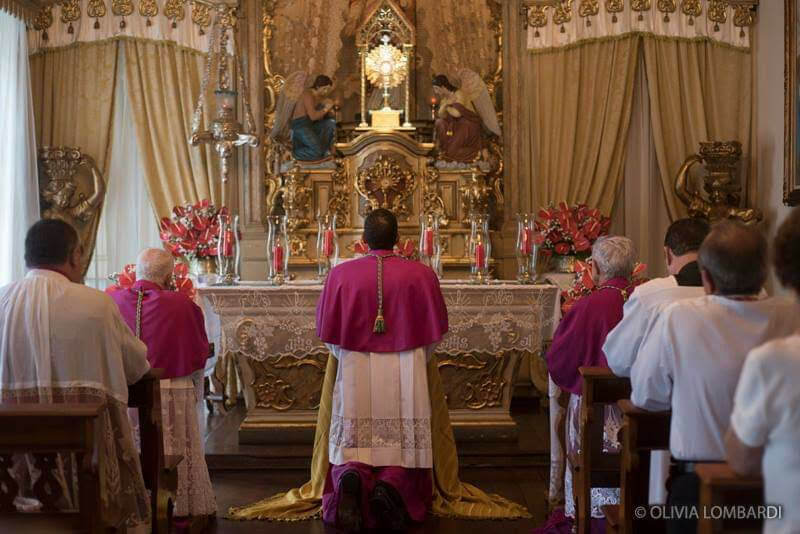 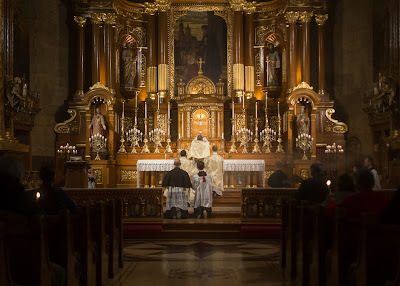 Here we see him kissing the floor of the cathedral and praying before the Blessed Sacrament, before the blessing of the candles and Mass begin.